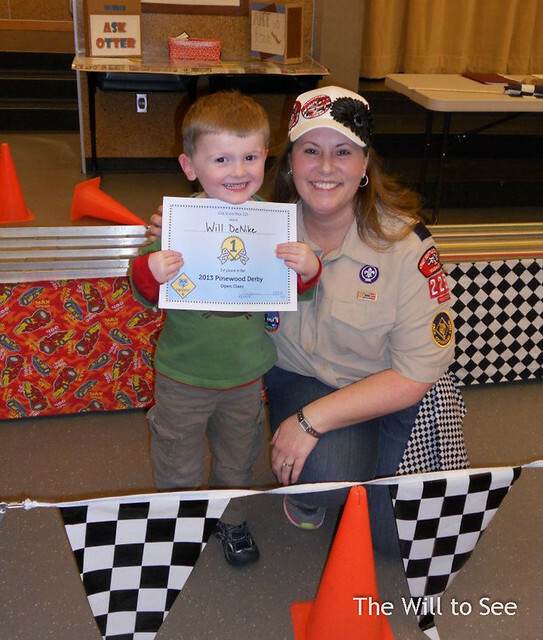 Tuesday was the Pinewood Derby for Jack’s Cub Scout Pack. 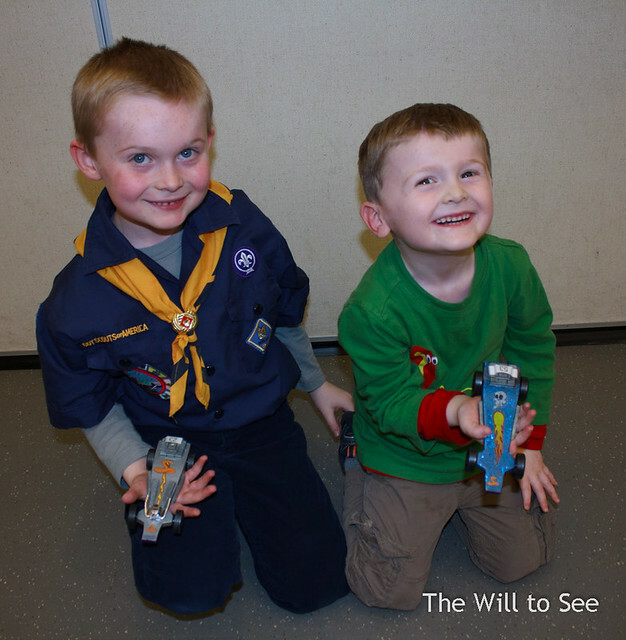 Jim helped make cars for both boys. Jack’s was called King Cobra, made the Top 16 of the Pack and won Most Futuristic Design. Will’s was called Number 3 and won the Open Class (siblings and extra cars) and third overall in the initial times. Jim tried to weight Will’s car so that he wouldn’t beat Jack, oops. Jack handled having his little brother beat him very well.